feee5, 22 Jan 2011nice 1 ;)nice 2.. I used this phone for 3,5 years! I still have it, but use it only as an SOS phone! Unfortunatley it happens a lot of times, 'cause they don't make such reliable phones nowadays! 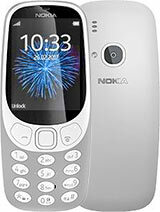 I had this phone as my 2nd and i can truly say that (for it's day) it was AMAZING - even if mine's 11 years old now !!! Everyone loved it and still does !!! 70% of people had this as their first phone..
this is a legend !!! BUSH, 17 Dec 20103310 has poor wifi reception... also no front camera view... but it's 12mp camera gives me rel... moreThis reviewer must have his phones confused!